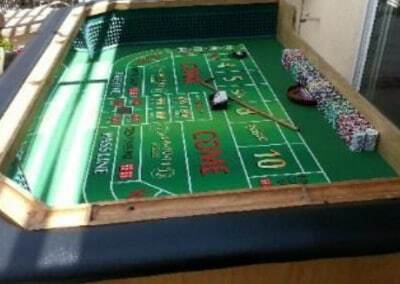 Craps is one of the most exciting, loudest, and rowdiest games in any casino. Youʼll typically see a large crowd of people huddled around the craps table, cheering and shouting as they anxiously await the outcome of each roll of the dice. Each player takes a turn throwing the dice for the entire table, so everyone wins and loses together. 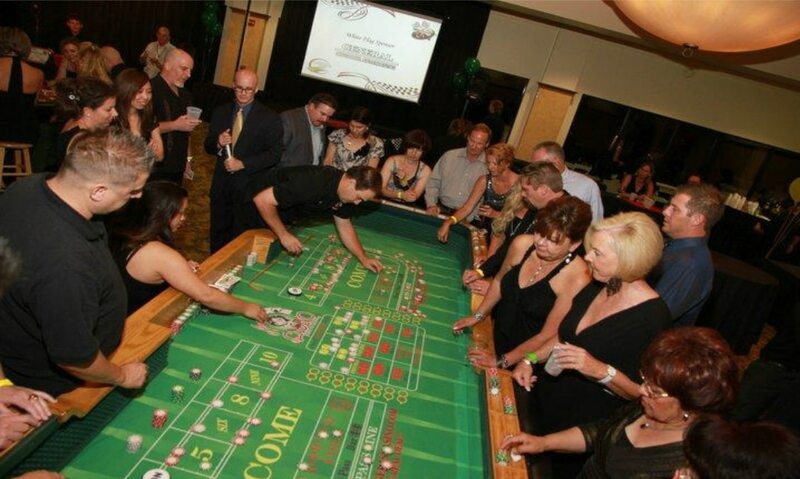 No table ensures a high-energy atmosphere while giving your party the look and feel of a real casino more than craps. 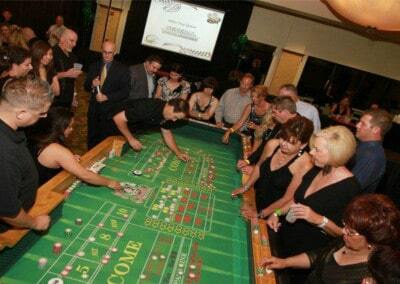 What Makes Our Craps Tables Special? 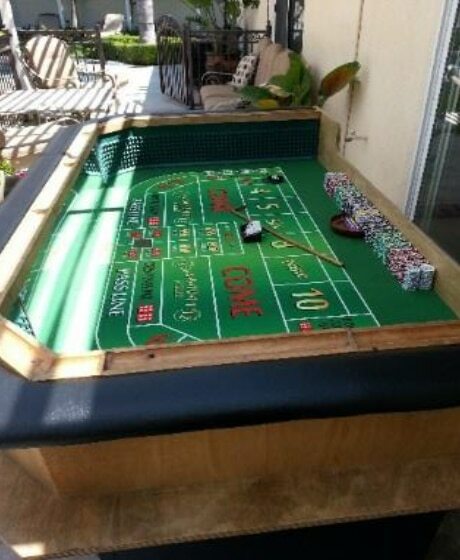 Our craps tables are beautiful pieces of furniture handcrafted in the USA by Las Vegas casino manufacturers. Because theyʼre mobile versions of the same tables youʼll see on the Vegas strip, they include all the same amenities such as exceptional woodwork, cushioned armrests, built-in chip racks where your guests can put their winnings, drink rails, green “diamond rubber” & mirrored inside walls, and wooden pedestal legs.